HP has confirmed that it is working on a new smartphone, which it says will aim to offer a different and unique user experience. HP Senior Director of Consumer PCs and Media Tablets for Asia Pacific, Yam Su Yin, said that the company is working on a number of devices, and when asked specifically about a smartphone, admitted that one was in the pipeline. Speaking to The Indian Express, Yin was open about HP's ambitions for a smartphone. "The answer is yes but I cannot give a timetable'" she said. "It would be silly if we say no. HP has to be in the game." She continued: "Being late you have to create a different set of proposition. There are still things that can be done. It's not late. When HP has a smartphone, it will give a differentiated experience." This isn't the first we've heard from HP about a return to the smartphone game, with a few previous hints that it was making plans, but it does seem like the closest thing to confirmation. HP had a brief – and less than successful – flurry into the smartphone market when it purchased Palm for in 2010, but sales were poor and WebOS failed to catch on - although WebOS still lives on through LG. 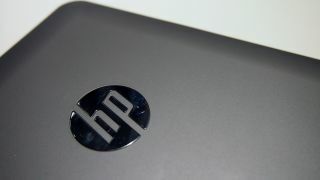 There's no indication of when a possible new HP mobile could hit the market or what OS it could be running on. But it will really have to really make good on its promise of a unique experience if it wants to stand out in this overcrowded market.